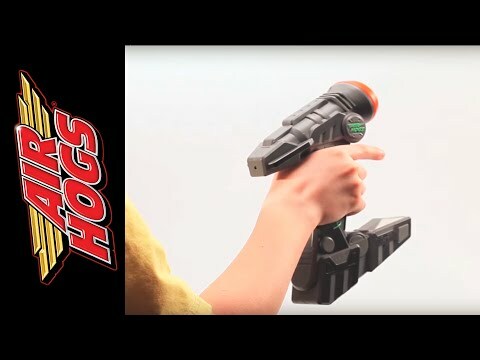 youtube : http://www.youtube.com/watch?v=CkMwXbkz5BU Product Description Bring interactive battle play to life with the Vectron Wave Battle! Use your Laser Blaster to disable the Vectron as it evades your every move. Using laser sensing technology, the Vectron will dodge your beam, escaping your attempts at victory. Aim and fire correctly and watch the Vectron light up, signaling that its been hit. Once defeated, play with it like the original Vectron Wave. Put your skills to the test with the Vectron Wave Battle! Includes 1 Vectron Wave and 1 Charger/Laser Blaster.